If you want to play a MOBA on a console in North America or Europe, your choices are pretty much confined to Smite and the beta version of Paragon, and that’s about it. But wait! 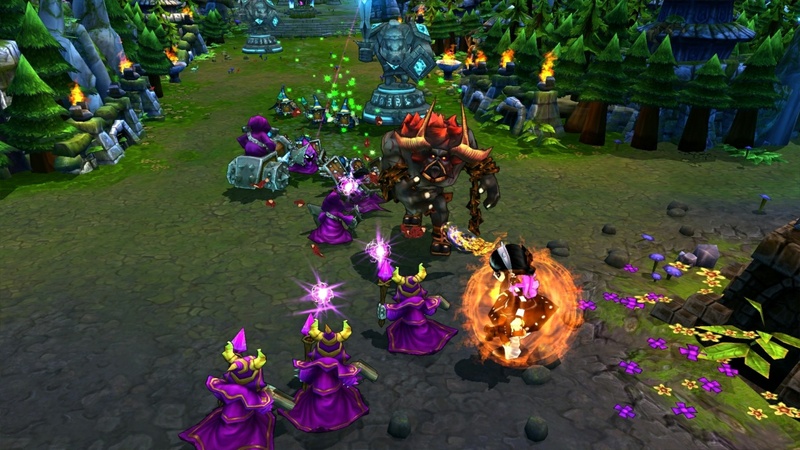 League of Legends, the biggest MOBA in the world, is coming to consoles! Well, console, as in one. In China. Tencent Games, which is Riot Games’ primary shareholder, recently showed off the TGP Box. Similar to a Steam box, it will run Tencent games, including League of Legends. At $549, it’s a bit pricy, but it comes with Windows 10 and so could likely double as a PC. And it’s not scheduled to head west any time soon. It’s interesting to consider, though. World of Tanks has a comparable total user base and has done quite well for itself on consoles, so it might not be that far-fetched to imagine League of Legends making that leap in the not-too-distant future. You can get more details on the TGP box over on PvP Live. Bahahahahahah gonna watch those console skillshots with the clunky console controls if i wanna have a laugh. Not all games are console-viable, why trying rofl. Oh money, nvm answered my own question. I mean not all games designed by developers are ment to be designed to built on consoles. I’ve known some games that were ment for mobile devices or PC only and the developers thought they can score some more money by bringing it to another platform and obviously a majority of them failed so I can see league of legends failing on console it looks more like it’s ment to only be exclusive to the PC platform in my opinion. Bad moba. You can do better people. I hate mobas but LoL might have a better chance working for me. I tried smite and somereason it won’t launch no idea why I tried everything and only installed it to see what a moba was so I knew why I hated it xD. I like mobas to waste some time here and there but smite was the most boring of them all. There was a good casual one named Strife, it was actually a really fun one (for em at least) but it lacked marketing so kinda dead now. best moba was Land Of Chaos Online,that game was the real best moba,not dota or other moba like league,but they messed the game when they turned it from lobby type like league of legends,into a 3D town with other stuff and was kind bugged after that,some heroes was not available and that was it…. Look for gameplay,but not 2016 or 2015,was like 2012 or something like that. I hate top down view games to I really don’t like them. I’ll play it if I have to but I really dislike those types of games. And I doubt I’ll ever play smite I’m not really a moba person.